Today on Debt Free in 30 I talk with mortgage agents Michael Smele and Bev Gay about whether it’s possible to buy a house after, or even during, a personal bankruptcy or consumer proposal. They each give their opinion about who can qualify for a mortgage and what options are available to individuals with poor credit. The biggest take-away from our conversation about buying a house — saving up the biggest down payment possible will not only reduce your monthly payments, but it could also mean that additional insurance fees will not be included in those monthly payments. After a bankruptcy or proposal, your credit rating will not be high (but chances are, it wasn’t high before you filed). Both Michael and Bev talk about re-establishing your credit before taking on a mortgage. Although it may take a few years, waiting while you improve your credit score will help with being approved for your mortgage and receiving a lower interest rate. They explain that lenders are looking to see whether you can responsibly manage a higher credit limit, to prove that you are not a risk. approximately $2500 in new credit. You can use a secured credit card to initially establish your credit but this is not enough to qualify for a mortgage. You will need to graduate into something like a Canadian Tire Mastercard or other easy access consumer credit card, and eventually into more traditional lending products such as small bank visa, mastercard, line of credit or car loan. Bev also talked about two different aspects to credit score management – a history of making payments and re-establishing your ability to handle a higher credit limit. what the credit bureau computer is looking for, is that you pay on time, every time, but the banks and CMHC are looking that you can manage a higher limit. I suggest that, yes, maybe you have a $2000 limit, but we’re never going to go above maybe $100 because we’re going to use it just to buy gasoline, because that’s a budget item. At the end of the month it gets paid back, every month. The computer doesn’t track how much you spend; it just knows that you pay on time, every time. And the fact that you stay away from your limit also gives you a better credit rating. If you have no credit now, Bev’s advice is to start with a small secured credit card and never approach the card’s limit. Even if you are not approved for a $2000 secured credit card, get a smaller limit and make your payments every month, on time. Your lender will see that you can carry a higher limit and you will eventually get to where you need to be to re-establish your credit. This process of getting your credit rating back on track will take time – it could even take a few years – but at least you’ll be able to achieve your end goal, the right way. So you’re in the process of re-establishing your credit and have put yourself in a better place to take on a mortgage, but don’t run out to your bank or mortgage agent just yet! Michael and Bev explain that a mortgage is possible at a 5% down but you will pay a cost in terms of mortgage insurance. Any down payment below 20% is generally considered a low down payment which will trigger mortgage insurance. the kind of inverse system that we have here is that when the risk is removed, the lender provides a better interest rate, but that comes with a mortgage insurance premium. So there is a bit of a Catch 22 there. If you want the best rates and not paying an insurance premium, you’re going to have to put down that 20%. My advice? Although 5% down sounds tempting, I strongly advise listeners to save up as much as possible to build a better foundation for home ownership and the added expenses that it includes. Buy a smaller house if need be to maximize the down payment you can save. Much like credit card debt, where paying the minimum is a bad idea, paying the minimum down payment costs too much. It might be hard to put off your dream of owning a home for a few more years, but it’s worth every second. I’m not suggesting that you give up on this dream, but rather, that you go about it the right way. 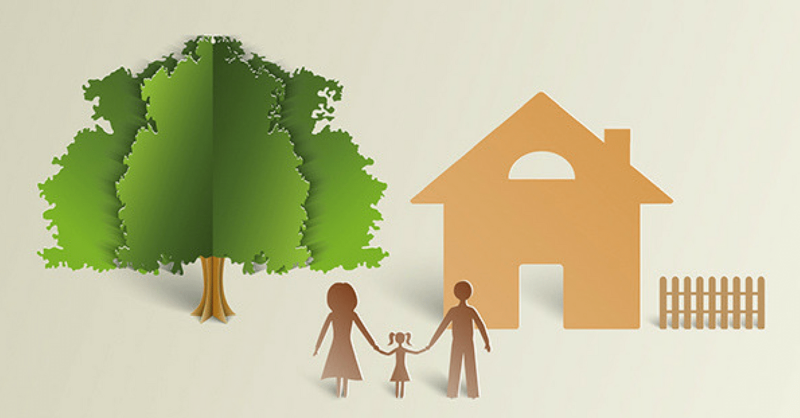 Growing your savings with a financial goal in mind, such as buying a home, will put you in a better place to take on such a large financial expense. Make sure to consider all of the costs associated with buying a house including property taxes, utility costs and needed repairs; all in addition to your regular monthly expenses like groceries and child care. Home ownership should be well researched and planned, rather than an impulse decision that could leave you house poor. For more information and real life examples about getting a mortgage after or even during a bankruptcy or consumer proposal, we recommend listening to the podcast with Michael and Bev. We discuss the topic in more detail and may answer any questions that you might have. I know that whenever I talk to someone in financial difficulty and they realize they’re going to have to take drastic action to deal with their debts, one of the most common questions I get asked is, “Will I ever be able to buy a house?”. They worry that if they go to credit counselling or do a consumer proposal or a bankruptcy, they’ll never be able to qualify for a mortgage. That is a real concern. Obviously, if you have bad credit it’s more difficult to qualify for a mortgage. So what does it take to qualify for a mortgage, and in particular, if you’ve had bad credit in the past? That’s the topic for today and I’ve got two guests who are experts in the mortgage industry to answer that question, one in each of my two segments today. But before we get into the nitty gritty of this topic, let me give my standard disclaimer. Every guest on Debt Free in 30 is picked by me personally, and I’ve picked them because I believe they have important information to share with you, the listener. When I decided to do a show on mortgages I put the word out to my network and asked for names of mortgage experts that my team knows and have dealt with, and that’s how I found our two guests today. This show is not an infomercial for my guest’s services. My guests don’t pay to be on the show and I’m not paying them to be on the show. Our focus is to give our listeners practical advice. So with that background let’s get started with my first guest. Who are you and what do you do? Michael Smele: Hey Doug. My name is Michael Smele and I’m an active blogger, speaker and I’m also an advisor to a select clientele on their mortgages. What I do specifically is I provide them with the tools to navigate successfully the vast and quick changing financial landscape here in Canada. Doug Hoyes: Cool. Well thanks for being with me Michael. So you’re a mortgage agent. Doug Hoyes: I guess my first question then would be, why should someone looking for a mortgage talk to someone like you? I mean we all know banks give out mortgages; they advertise them very heavily. I assume the market is very competitive, so I assume I can get a pretty good deal from a bank. Why should someone go see a mortgage agent such as yourself? Michael Smele: Absolutely. That’s a great question, Doug. Why should you use a broker? I’d say the number one difference between us and the retail level or how you acquire a mortgage is the level of service we provide. The way I feel a proficient broker or agent differentiates himself is in how they position themselves as a trusted advisor on your team, just like a CPA or having a realtor in your back pocket. And what we provide as brokers is strategies to help save literally thousands of dollars in mortgage interest over the lifetime of your mortgage. And where the rubber meets the road is in understanding the mortgage contract. How to navigate the terms and the fine print that a lot of times the banks gloss over or don’t even feel they have the need or the regulatory requirement to disclose to you. Doug Hoyes: So I get that, you’re saying that you know the bank’s there to sell their product. You’re there to have a more long-term relationship with the person. You want to explain to them what the mortgage is, how it works and then you’re shopping the market to get them the best deal. And that all sounds – that sounds wonderful. It’s just a beautiful thing, but let’s be honest here. You are a private business person. Obviously, you are getting paid for your services so I assume that if I get a mortgage through you there’s some kind of fees that are built into the cost of the mortgage. So doesn’t that mean it’s going to cost more to get a mortgage through a mortgage agent than it would cost if I just went and got a mortgage at the bank? Michael Smele: That is an interesting question and it’s a very commonly held, but incorrect assumption, that a lot of consumers hold. If we just take an apples to apples comparison here, Doug, and look at a mortgage that I arranged for my client at 2.9% and at the retail branch level at Bank A you’ve got a mortgage arranged for 3%. Effectively based on the cost of borrowing, the consumer wins. That’s it. Period. The way banks pay brokers on the – especially on the finder’s fee, is they actually pay us out of their profits to gain market share. And at the end of the day that is just considered a cost of borrowing. And what’s little and less known to the consumer is that banks actually pay other referral sources to gain market share as well, and that is also just a cost of doing business. Doug Hoyes: So what you’re saying then is, if I’m a – let’s start with the simple example where I’m a Class A client. I’ve got you know, decent credit. I can probably get just as good or maybe even a better deal by going through you than I would if I just went to my bank and signed on the dotted line. Is that what you’re saying? Doug Hoyes: Okay. So now let’s talk about the person who perhaps isn’t the greatest credit risk in the world. Somebody who perhaps has had some credit challenges in the past. Maybe they’ve gone through a bankruptcy or a consumer proposal. That process is now finished. They’re in the process of re-establishing themselves. They want to then get back into the housing market. What’s it going to take? And as I said off the top of the show, this is a common, common question that I get all the time. So let’s kind of break it down then. So let’s take that example. My proposal is done. My bankruptcy is done. How many years does it take before I’m going to be in a good position to quality for a mortgage? We know that if I go bankrupt, on Equifax for example, there’s going to be a note for six years that says, “I went bankrupt”. If I do a consumer proposal I know there’s a note for three years after I finish making all the payments. Does that mean I can’t get a mortgage for six years after bankruptcy? Michael Smele: Right, and just a quick caveat on the bankruptcy or post-bankruptcy qualification. In the mortgage industry there’s so much flux in terms of negative and positive trending and where exceptions are made in extenuating circumstances. So just to kind of qualify that question, you can get mortgages post-bankruptcy that are not necessarily prime mortgages. But what we’re looking to do is to qualify for an institutional mortgage post-bankruptcy or proposal. So in generalities, what they are looking for is a two year time-line to lapse after your discharge. A two year time-line where you re-establish your credit from the date you re-established it to the time and date you talked to them. And what’s left is obvious but they do look for approximately two plus new trade lines or credit facilities being established. What’s more or less not overt out there in the industry but suggested by a lot of lenders is that you also have approximately $2500 in new credit available to you. One thing just to advise people about that are going down this path, that there in no case are secured credit cards or those prepaid credit cards that people often use are going to assist you to this end. Doug Hoyes: So when you say re-establishing credit then, and you threw out the number of $2500, and I know you said we’re speaking in generalities, obviously every situation is different. We’re kind of just trying to paint a picture here. What kind of things then would help re-establish credit that you’ve seen? Michael Smele: So again if you’re looking at unsecured credit you are qualifying based on your own merits. So that’s where – I mean sometimes people are so bad they need a secured credit card just to get a footing. But once they have that footing and the credit starts improving through the credit cycle, sometimes it’s just as simple as starting with a small Capital One, Canadian Tire Mastercard. One of those easy entry-level consumer credit cards that may be providing you $500, $700, or $1,000 in available credit. From there we want to move back into a bank type of facility. Either a Mastercard, Visa, or a small line of credit. And then again it can be more organic. Sometimes people even through the proposal or bankruptcy have some surviving credit. A car loan maybe and that can give them some footing to help speed that process. So again, there’s no hard and fast rules here but these are the generalities. Doug Hoyes: Cool, and so the final question I want to ask you then has to do with level of down payment. So let’s take the person who has perfect credit. They you know, fantastic, never been bankrupt, never done a proposal, everything’s fantastic with them. And they want to get a mortgage at the absolute best rates. They don’t want to have to pay any kind of mortgage insurance or anything like that. What’s the minimum level of down payment required in that scenario? Michael Smele: Well if we’re not looking at mortgage insurance then today’s best rates are going to be on 20% down, because anything over and above – I mean you will still even get a better rate if mortgage insurance is involved because the risk is removed from the bank’s shoulders and put on – well it’s effectively put on the taxpayer, but don’t let anyone say that out loud. But the kind of inverse system that we have here is that when the risk is removed, the lender provides a better interest rate but that comes with a mortgage insurance premium. So there is a bit of a catch 22 there. If you want best rates and not paying an insurance premium, you’re going to have to put down that 20%. Doug Hoyes: So 20% if you’ve got perfect credit. Somebody’s who’s got less than perfect credit, but is willing to pay the insurance premiums, what’s the absolute minimum you can get away with then in terms of a down payment? Michael Smele: It’s the 5% down payment through mortgage insurance. It’s still possible for those people if they met the minimum requirements. Just quickly as a caveat, self-employed people will not. So unfortunately, regardless of their re-established credit, post-bankruptcy they are just not a candidate. Doug Hoyes: It’s more difficult. Okay good. So 20% if you’ve got perfect credit. It is possible to get mortgages with a little as 5% down. Obviously you’re going to pay a little bit more for that. I appreciate that. Thanks very much, Mike. We’re going to take a quick break and come back and talk more about mortgages right here on Debt Free in 30. Speaker: You’re listening to Debt Free in 30. Here’s your host, Doug Hoyes. Doug Hoyes: Welcome back. On today’s show we’re talking about mortgages. I want to make sure we aren’t hearing just one perspective so in this segment I’ve got another mortgage professional to help us understand how to qualify for a mortgage. So let’s get started. Who are you and what do you do? Bev Gay: Hi Doug. I’m Bev Gay. I’m with The Mortgage Group and I’ve been a mortgage professional for 15 years. I’ve closed over 15,000 mortgages in my time and I pride myself in looking at every situation and trying to find the best contract or mortgage product for their particular needs. Doug Hoyes: And before you were a mortgage agent where did you work, what did you do? Bev Gay: I worked – I was a mortgage banker and I loved that. And then I went to work for CMHC and for Genworth. So I have a pretty good perspective on all aspects of the business. 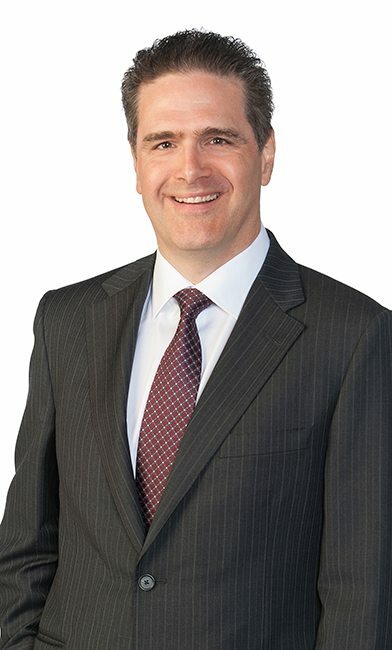 Doug Hoyes: And what is CMHC? What do they do? What’s their role in the mortgage world? Bev Gay: CMHC is known as the government mortgage insurer. So they insure mortgages to the banks and basically you pay a premium in the mortgage payment for that but it allows you to get a low down payment mortgage. Doug Hoyes: And so I need to get mortgage insurance at what level of down payment? Bev Gay: Normally, we say if you have less than 20% down payment. Doug Hoyes: Gotcha. So if I’m getting a mortgage with 10% down, 5% down, 15% down there will probably be – almost certainly there will be CMHC insurance that the bank will in effect, tack onto the mortgage. Makes the mortgage a little bit more expensive but that protects the bank and the bank probably wouldn’t have done the deal otherwise. Doug Hoyes: So in order to get the absolutely best mortgage rate, I want to have a down payment of 20% or more. That way I can avoid the insurance. Is that a simple statement or is that not correct? Bev Gay: You will get the same rate whether you have 20% down or 5% down. The down payment does not affect that. It’s just that you don’t have the insurance premium worked into your payments. Doug Hoyes: I gotcha. So the amount – as a customer the amount I pay will be higher, because I’m paying the mortgage interest rate plus the insurance premium on top of it. Doug Hoyes: Okay. So in the first segment we were talking to Mike who is a mortgage agent as well and he was walking us through what’s required in general terms to qualify for a mortgage for somebody who has less than great credit. So I want to delve into that a little bit deeper with you, because that’s something you’ve got some expertise in. So let’s take the scenario of someone who has been through a proposal or a bankruptcy. As a result their credit is damaged and now they would like to start the process of buying a home. So I’m assuming that the day after my bankruptcy ends if I have zero down payment, I can’t just walk out and get a house. That’s kind of obvious right? Doug Hoyes: So what is it going to take then to get there? So let’s pretend I’ve come to you in that scenario. My bankruptcy or my proposal just ended and I would like to buy a house some day. So walk me through the specific advice you give me to accomplish that. Doug Hoyes: What’s the first thing I want to do? Bev Gay: Alright. Well every situation is a little bit different so I will just give you an outline average. The very first thing that we want to do is meet and determine sort of, where you could be and how we’re going to get you there. The very first thing I want to do with you, is to get your credit re-established. Some people try to do that on their own and end up doing it incorrectly or they go bank to bank to bank and have lots of credit checks on them and that actually is more to their detriment. Doug Hoyes: Yeah, because every time your credit is checked there’s a note on your credit report you went to twelve places and they all turned you down. That’s going to make it worse. So you’ve got to do this smart then. So okay, I want to start re-establishing my credit, what’s a specific thing I can do then? Bev Gay: First thing we do is get you a secured credit card. And to be honest, if we have to start at $500 then we do that. Doug Hoyes: Now just let me interrupt you there cause on our first segment Mike said that, “You know what? A $500 secured credit card is really not going to make a whole lot of difference.” Do you agree or disagree with that? Bev Gay: I totally agree. Nowadays to get a mortgage they’re looking for actually two items with re-established credit with limits of at least $2000 or $2500. So even though you can only maybe get that $500 initially. After some series of payments, most often 12 months, then they will increase the limit to $1000 or $1500. If you are able to secure more, then we can get you a higher limit. Because what we’re looking for and what the credit bureau computer is looking for, is that you pay on time every time but the banks and CMHC are looking that you can manage a higher limit. So I work with you very closely on how we use that limit. So I suggest that yes, maybe you have a $2000 limit but we’re never going to go above maybe $100 because we’re going to use it just to buy gasoline, cause that’s a budget item. At the end of the month it gets paid back every month. The computer doesn’t track how much you spend, it just knows that you pay on time every time. And the fact that you stay away from your limit also gives you a better credit rating. So doing that, it’s steps, but it’s steps getting you to the right place, which is buying your house. Doug Hoyes: So what I’m shooting for then is history of making my payments, and I’m shooting for re-established credit, a couple of thousand dollars, three thousand dollars whatever, and then obviously I have to shoot for a down payment. So as talked about earlier, to get the best rates to not have to worry about any kind of insurance or anything, I’m shooting for 20%. But it is possible to get a mortgage after a proposal or a bankruptcy with as little as how much down? Bev Gay: Really with as little as 5% down. Doug Hoyes: With as little as 5% down, and obviously I’m paying the insurance fees and everything so it’s going to be a little more costly than if I had a larger down payment. So then, the final step in that process then is to save money. Is that correct? Bev Gay: Right. And there is a “but” to that whole 5% down. It might take us four to five years to get there, but at least you’re going to get there. Doug Hoyes: So if it’s going to take – so that’s my target then. I’ve got to get to at least 5%. Obviously more is better. How much is the house going to cost? How much is 5% of that? Do the math backwards. How much can I save every month? If I’ve got a fantastic job or if my mother is willing to give me a whole chunk of money, how quickly can I then buy a house after a proposal or a bankruptcy? Bev Gay: It could be one day, one month. Doug Hoyes: If I got the bucks I can do it quicker. Bev Gay: That’s right or a good co-signer. Lots of different things come into the scenario. Doug Hoyes: So there are ways to do it. So the key point is a proposal or a bankruptcy does not mean you can never buy a house again. Doug Hoyes: You just got to be smart about it. Bev Gay: That’s right and it takes work. Doug Hoyes: It takes work, yeah. I think that’s a key point. So final question I want to ask you in the last minute or so we’ve got here, what about the person who is in the middle of a consumer proposal right now? A lot of people do proposals because they own a house, they’ve got a little bit of equity, they don’t want to go bankrupt because they would lose it. Is it possible to borrow money against your house while you’re in a consumer proposal to pay out the proposal? Bev Gay: Yes and the way that works is basically the government put a new rule on this year that you can only finance 80% of the value of your house. So we look at what the existing mortgage is, and how much money we can give you. If you’ve been in the proposal for 12 months, good repayment, then we can sometimes pay out that proposal and maybe there’s something else you want; you need a car or something like that. We’ll put you with a lender that is not a bank, but will give you let’s just say for example, 3.99% because you have you know, two more years to establish credit. And then in two years we can take you out to a mainstream lender. Doug Hoyes: So it’s actually possible in the middle of a proposal if you have equity, to get a re-financed mortgage at a relatively good interest rate. We’re not talking 20%. Bev Gay: – we have lenders who are going to help you re-establish yourself. Doug Hoyes: Because they’ve got a customer for life now probably. So you mentioned 80%. So just so that we’re all clear cause before we said, “If I’m going out to buy a house I can buy a house with as little as 5% down”, but on a re-finance there has to be 20% equity. Is that correct? Bev Gay: – with the private second behind. Doug Hoyes: But there’s a difference between buying a new house and refinancing. Bev Gay: And CMHC of course will not involved in any payouts of consumer proposals or things like that. So we have to have the equity or do a first and a private second. Doug Hoyes: Gotcha. Excellent. Well that’s great Bev. I really appreciate you joining me today. What I’m going to do in the show notes which people can find at hoyes.com, is put links to your website so they can see how to contact you if they’ve got questions about how to re-finance because they are in a proposal or they want to re-establish and buy a house in the future, how to do it they can contact you. Thanks for being here today. Bev Gay: Sure that’s great, Doug. Thank you. Doug Hoyes: Great. Thanks, Bev. We’ll be right back to wrap it up. You’re listening to Debt Free in 30. Doug Hoyes: It’s time for the Let’s Get Started segment here on Debt Free in 30. Today we’re talking about mortgages and I want to get some actual stories of real people who have gone through this process. My guest today is Mike Smele. Did I say that right Mike? Did I get your name right there? Doug Hoyes: Excellent. Very good. So we talked earlier about what you need to do to qualify for a mortgage if you have finished a proposal or a bankruptcy. Tell me an actual real-life story about somebody who you helped who had gone through either a proposal or a bankruptcy and was then able to get a mortgage through you. Tell me what happened in that case. Michael Smele: Absolutely, Doug. I actually have a great story. It’s one that I’ve recounted to other clients over the years so this one’s great. I had a couple in Brampton. They were post their discharge of a consumer proposal and it was actually about three to five years. This is going back. The main obstacle that they had was their wrong or misperception about their financial future. They had in fact been rejected by their bank at one point after their discharge and for them they felt that there was no hope. So in asking questions and getting the scenario, we were actually able to ascertain that they had strong employment. Their credit was re-established by their own efforts and we were able to get them a great fully featured best-rates mortgage. And the effect was actually, there were tears. They had so much relief over the fact that they were able to you know, revise their financial plans for their future. But it was quite emotional. So you know I just want to give other listeners hope that you know, if the bank has rejected you in that sense, you’re not out of options. We don’t have to go to a loan shark. There’s a lot of options in between that, that can give them a good plan for their future. Doug Hoyes: So the answer is, yes, it is possible after finishing. And was this a proposal or a bankruptcy that these people had gone through. Michael Smele: It was a proposal. Doug Hoyes: So after finishing a proposal, it is possible to get a mortgage and in their case it sounds like they did it in a prudent manner which is, they didn’t try to do it immediately. They saved up some money. They build up a down payment. They had good jobs and they also took some steps to re-establish their credit, and that’s why it was possible. Doug Hoyes: So what about – you mentioned in the first segment we did today that it’s difficult to get a mortgage when you’re self-employed. It’s very difficult if you’re finishing a proposal or a bankruptcy, but in general it’s difficult to get a mortgage when you’re self-employed. And I assume the reason for that is when you go into the bank and they say, “Can you show me your T4 slip from last year?”, you can do it because you’re self-employed. Is that really the problem with being self-employed? So tell me again, somebody you’ve helped who was self-employed, but you were still able to arrange a mortgage for them. Michael Smele: Absolutely, Doug. I’ve got a very recent example of a very successful gentleman, business-for-self or self-employed. And just like you said in the industry it’s very well known that proving the income or how the lender interprets the income is the issue. So we all work hard as self-employed individuals to lower our taxable income through legitimate methods, versus the actual income we derive from our businesses. So this gentleman owned a restaurant with a partner in Markham. They had five million in annual sales but his two year taxable income or the average of that was about $33,000 where in actuality he was earning more likely a quarter of a million. So in this case our solution, because he had good credit, was that we were able to use a stated income mortgage product that, as long as it was in line with his industry standard, we were able to utilize that towards qualification. And in cases where that’s not the case, there’s another example that you can actually use an industry standard of the 12 months business bank statements and that proves the viability of the business. And that’s another way that we can still get the mortgage if you’re self-employed. So these are just a couple of examples. But a quick tip for those who are business-for-self and are looking to move ahead or in the near future purchase a property. I’m going to tell them to keep their credit pristine and that’s specifically their credit score above six-eighty because if you don’t, your mortgage options will be seriously curtailed and that’s just a fact of the industry right now. Doug Hoyes: So there you go. If you’re self-employed it is possible, but you have to keep your credit pristine is what you said. So don’t be late on anything and don’t mess anything up. And you hit on the key point with a self-employed person. If I’m self-employed, I’m going to do everything I can to keep my tax bill low. I’m going to make sure I’m recording every single possible expense that I can. That’s just natural. But of course by doing that, I am also therefore lowering my income and so then when I go to the bank, I’ve got lower income then what perhaps I would otherwise be incurring. I mean as a self-employed contractor for example, I’m using my own truck to get to and from the job. So the business is paying for that. That’s an expense I don’t have to fully pay when I’m – that I would have to pay if I was an employee, but then that also makes my income look lower so that’s where the trick is. So you’re advice to people then if they’re self-employed is keep their credit pristine and then it may be necessary to get a special product like you talked about, but it is possible to get a mortgage if you are self-employed. Doug Hoyes: Excellent. Well I appreciate that, Mike. Thanks for that advice. We’re going to put links to what we’ve talked about including to Mike’s website and his blog. You can find that at hoyes.com. Mike, thanks for being here today. Michael Smele: Thank you, Doug. Appreciate the time. Doug Hoyes: Great. Thanks very much. You’re listening to the Let’s Get Started segment right here on Debt Free in 30. Doug Hoyes: Welcome back. It’s time for the 30 second recap of what we discussed today. On today’s show we talked about mortgages with my two guests, Michael Smele and Bev Gay. They both gave similar advice, it is possible to get a good interest rate on a mortgage after finishing a bankruptcy or consumer proposal, but it takes some planning and you do have to take steps to re-establish your credit. That’s the 30 second recap of what we discussed today. So what’s my take on mortgages? What amazes me most of all is that as I record this show in the early spring of 2015, both mortgage experts told me that it is still possible to get a mortgage with only a 5% down payment, even if you have had a bankruptcy or a consumer proposal in your past. My take is this. As we’ve discussed on previous shows, sometimes renting is the best option, but if you are getting a mortgage I still believe that a bigger down payment is better. At less than a 20% down payment you’re paying mortgage insurance fees which increase your monthly payments. So I think that in most cases it’s best to save for a bit longer so you can have a bigger down payment and lower your mortgage costs. That’s our show for today. Full show notes are available on our website at hoyes.com. That’s h-o-y-e-s.com. Thanks for listening. Until next week, that was Debt Free in 30. Speaker: Thanks for listening to the radio broadcast segment of Debt Free in 30 where every week your host Doug Hoyes talks to experts about debt, money, and personal finance. Please stayed tuned for the podcast only bonus content starting now on Debt Free in 30. 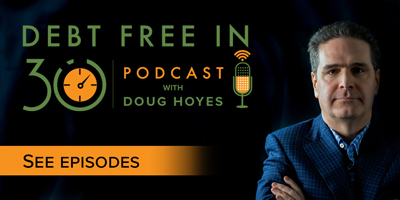 Doug Hoyes: It’s time for the podcast only bonus content here on Debt Free in 30. I wanted to hear some real-life stories from mortgage agent, Bev Gay. So I’ve invited her back for a few more minutes. Bev, I’d like you to talk to me about some specific examples you’ve had helping people. And let’s start with the common example of somebody who in the past was bankrupt and then wants to buy a home. So tell me the story of someone in that situation you’ve helped. What did you do? Bev Gay: Okay thanks, Doug. I’ve had many situations but I think sometimes the best one that I have was somebody that they were both bankrupt previously and then got together and decided that they wanted to see how to buy a house. And fell upon me through their real estate agent and I went and met with them a number of times. We set them up on budget first of all so we could get that secured credit card, which we did. And then they continued that budget to save for their down payment. Now after last summer, after almost five years of doing the budget and saving, they were actually able to buy their first home with 5% down, at a very, very good interest rate through a bank. Doug Hoyes: So in their case you worked with them for a period of time. They had to save some money, but they were eventually able to accomplish their objective. So what about the situation where someone has done a consumer proposal and at the end wants to then buy a house? Have you got any stories like that? Bev Gay: Yes. I’ve done that a number of times and sometimes it’s good to get prepared ahead of time. I have a gentleman right now who has pretty good job. His consumer proposal was due to a marital split and we are preparing for payout of the consumer proposal, refinance of his home over a three year rate of 3.99 so that he can establish his credit again through his mortgage, which now reports on the credit bureau. And at the end of the three years, we’ll be able to move him to a typical bank mortgage and if rates are down, at a lower rate. Doug Hoyes: So you hit on a couple of key points there then. So first question about mortgages reporting on credit bureau. Is that a relatively new thing? Bev Gay: It is very new. January this year. Doug Hoyes: – credit rating, your credit ability then. Doug Hoyes: So actually having a mortgage and paying it, very important. You don’t want to mess up your credit report by doing that. So back to this guy then who had done the consumer proposal. What – and I think the other key point you made was that there’s some planning involved here. Bev Gay: Yes, of course. Doug Hoyes: So you started working with this guy even before his proposal was over? Doug Hoyes: And so what kind of advice were you giving him then. “Okay so your proposal is going to end. Here’s what you should be doing now.” What kind of things were you telling him prior to the proposal even ending? Bev Gay: Well basically we do do a credit check to see how things look there. They might be carrying a car loan through it, or not. Sometimes they do and then we just look at what he can afford, what’s realistic. We review bank accounts, make sure there’s no cheques bouncing, things like that because those are the type of proofs that will have to be supplied. So we make sure that all the ducks are in a row before you know, any kind of an agreement to purchase a home in entered into. Doug Hoyes: And what kind of timelines in this guy looking at from when his proposal ends to when he’ll be able to actually finance a home? Doug Hoyes: So he’s got an existing home you’re going to be refinancing or he’s going to be buying a new home? Doug Hoyes: Is that what you – ? Bev Gay: – no he’s going to be refinancing actually. Bev Gay: – we’re probably going to pay out the consumer proposal. It has to run for 12 months with good repayment before we can pay it out. Doug Hoyes: So it is possible to pay out a consumer proposal, while you’re in it, if you have equity and if at least 12 months has gone by. That’s the lenders that you’re dealing with now. Doug Hoyes: And if that works, then that works. Okay good. Great. Well I appreciate that. There’s a couple of stories. So I guess the message you’re giving people is it does take a bit of work. You do have to have a plan, but it is possible after a bankruptcy or a consumer proposal to buy a house. Doug Hoyes: That’s pretty much how it works. Bev Gay: And the worst thing you can do for yourself is go to the bank to apply, because it’s just going to be discouraging if they’ll even talk to you. Doug Hoyes: You would rather they come to someone like you so that you can map out a plan to make sure your credit is rebuilt. You’re the one checking the credit reports, doing all that, and then they’re good to go at the appropriate time. Bev Gay: That’s right. My job is to know which banks will do what products for what type of people. Doug Hoyes: And that’s the whole point of using a mortgage agent. Excellent. Well I appreciate that Bev. That’s good advice. Thanks for being here today. Bev Gay: Thank you very much.